Uttarakhand Police, Government of Uttarakhand invites applications for recruitment of 1000 Vacancies of Constable Police (Female) by direct recruitment 2016. 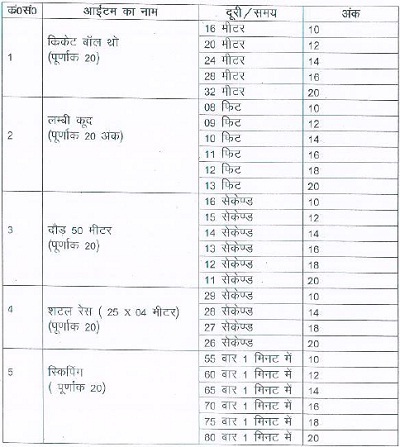 All eligible Female candidates may apply for Uttarakhand Police Constable Vacancies in the prescribed application format. UK Police Department Recruitment or Uttarakhand Police Female/ Lady/ Women/ Mahila Constable Jobs latest information as district wise vacancy details, qualification, selection procedure, fee, application form, exam pattern, answer key, result, merit list etc. is given below. Age Limit (as on 01.01.2016) – 18 to 25 years i.e. a candidate must have been born not earlier than 01.01.1991 and not later than 01.01.1998. Educational Qualification – Intermediate (12th pass) from Uttarakhand Board of School Education Ramnagar (Nainital) or equivalent examination pass. Candidate should be registered in any of the Employment Offices of Uttarakhand State till closing date of receipt of application form. Selection/ Recruitment process for the selection of UK Police Women (Mahila) Constable will consist of Physical Measurement Test, Physical Efficiency Test & Written Exam. For selection, district wise & category wise merit lists will be prepared on the basis of total marks obtained by candidates in the Physical Efficiency Test & Written Exam. Qualified candidates of Physical Measurement Test will be called for Physical Efficiency Test. The Physical Efficiency Test will be of total 100 marks and minimum 50 marks will mandatory to obtain in aggregate with at least 50% marks in each item. See the image below for Physical Efficiency Test items (Cricket ball throw, long jump, run/race, shuttle race and skipping) & marks distribution. Written Exam/ Written Exam Pattern– Qualified candidates of Physical Efficiency Test will have to undergo an Objective type written exam of 100 Marks. Question Paper for UK Arakshi Police (Mahila) Written Exam will comprise of questions based on General Knowledge (70 Marks) & Hindi Language (30 Marks). There will be negative marking of 0.25 marks for each wrong answer. Minimum 45% marks for Gen/OBC candidates and minimum 35% marks for SC/ST candidates will be mandatory to qualify the written exam. The requisite fee can be remitted through Treasury Challan. Eligible and desirous candidates may apply for UK Police Constable Vacancies 2016 in the prescribed application format (Offline) by downloading from the link below. Candidates may apply for one district (Recruitment centre) only. Submit application form along with all the required documents as 02 self-addressed envelopes with postage stamps of Rs.5/- on each, 02 passport size colour photographs, application fee and attested photocopies of educational certificates/ marks sheet, caste certificate, Employment Office registration certificate, domicile certificate etc to the concerned District SP Office (Recruitment centre) so as to reach on or before last date. For application form and other details about Police Constable Uttarakhand Recruitment, download advertisement notice (Vigyapti) from the link below. Search any information available on this site by the help of Google custom search box above. You may visit later for other latest updates related to Uttarakhand Police Constable Recruitment, UK Police Mahila Constable Jobs, Female Constable Vacancy, Police Constable Exam etc. Sir my sister has got 155. 75 marks in st category.